54th Eye camp held at Udhavi Karangal Samuga Nala Thodar Kalvi Iyakkam. 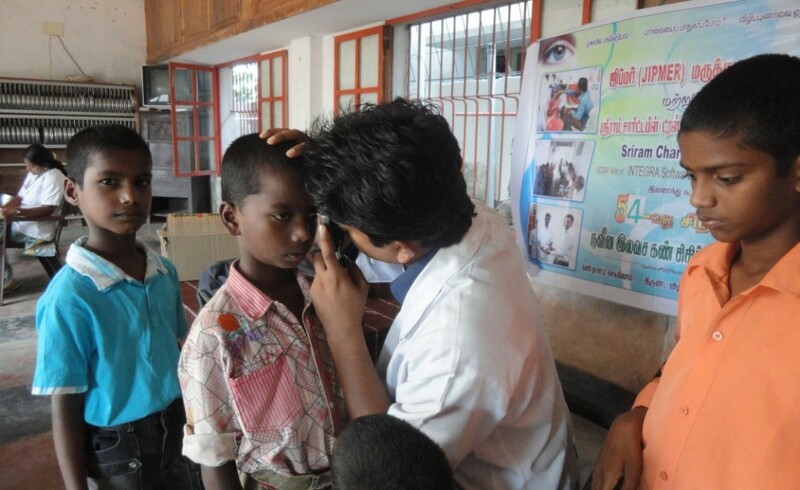 Out of 135 participants, Distance Vision power lenses provided to 13 Beneficiaries. In this picture Ms. Alice Thomas from Udhavi Karangal is receiving the D. V. lenses from Mrs. Anuradha Sriram, Trustee of Sriram Charitable Trust (CSR Arm of Integra Software Services Pvt. Ltd.). Mr. Neil Brandford, Divisional Production Director, Penguin Random House, UK, handed over a cheque on behalf of Sriram Charitable Trust, to Mrs. Selvi for her grand child’s heart operation. Health Aid provided to Samyuktha, a 4-month-old female baby, for open-heart surgery on 29 March 2014. 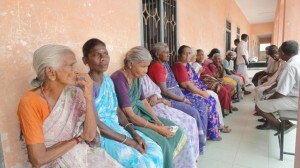 Medical Aid sponsored to Mrs. V. Punnia, on 24.07.12.